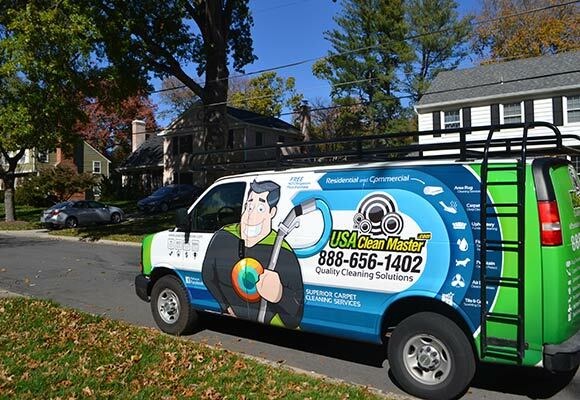 USA Clean Master tries to meet several different goals when we clean your carpets, and some of them may surprise you. We concentrate on you, our customer, because we know that if you are happy with how we clean your carpet, we have done the job properly. From the time you call to speak to our office to the time the technician finishes the job, we want all of your interactions with us to be helpful and professional. We want to make your living environment safer for you and your family. Whether you have children, pets, or both, you need a clean place for your loved ones to play, free from dangerous chemical residue. All our cleaning services use natural and eco-friendly cleaning supplies for effective and safe cleaning. Allergy and asthma management through carpet cleaning can make a very big difference for respiratory issues and general health and quality of life. If you or your loved ones suffer from allergies, asthma or other respiratory illnesses, let us help you all breathe a little better. Call us now at 239-349-2236 and ask for our specials! USA Clean Master's Port Charlotte branch makes it easy for Lee County residents to embrace carpet cleaning as a regular part of your home maintenance. With a loyal, vetted staff in the area, we offer reliable services that really make a difference in your home's appearance and in the health of your family. 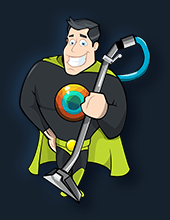 It is easy and convenient to schedule your carpet cleaning appointment at your convenience. We clean carpets every day, weekends too. We offer a variety of carpet cleaning methods, starting with our signature service, carpet steam cleaning. Steam cleaning is our preferred carpet cleaning method, just because it works so well for so many carpets. Hot water jets into the carpet, and is then extracted it with strong suction, leaving your carpet clean through and through. We recommend deep cleaning as a more intensive treatment for those times when steam cleaning won't give you the stellar results USA Clean Master is known for. If moisture might ruin your carpet, we also offer carpet dry cleaning. Stain removal is a primary focus of our Port Charlotte branch, with an emphasis on pet stains and odors. Now you can have pets and carpets, too! When you own a business or a commercial property, you may spend just as many hours there as you do at home. A clean carpet not only increases morale for employees and makes a good impression on customers, but is also critical for maintaining good indoor air quality. For your health and for the health of your employees, we offer commercial carpet cleaning, with dry cleaning options for cleaning without the downtime. Call our office for more details about our commercial cleaning packages. A menu of professional cleaning services, including upholstery cleaning, rug cleaning both onsite and at our in-plant facility, and specialty services for hard flooring as well, like tile and grout cleaning and hardwood floor refinishing.